If you’re anything like us, then you are loving all the hype around Mermaid themed parties lately. I mean, take a look around social media. Instagram and Pinterest are filled with tips & ideas for throwing your very own Mermaid party for a variety of special events. This theme is perfect for birthdays, (for any age), and would be adorable for a summer pool party! 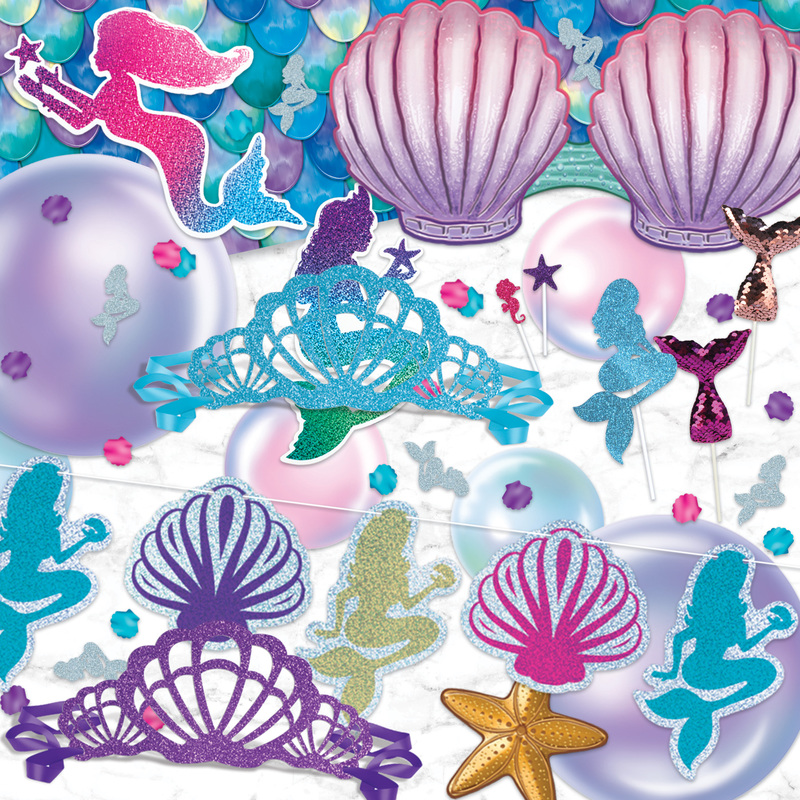 Although we already had an extensive range of Luau themed decorations, we added a separate collection of Mermaid items for 2019. We have everything you need to decorate simply and affordably to create the perfect atmosphere for your event. 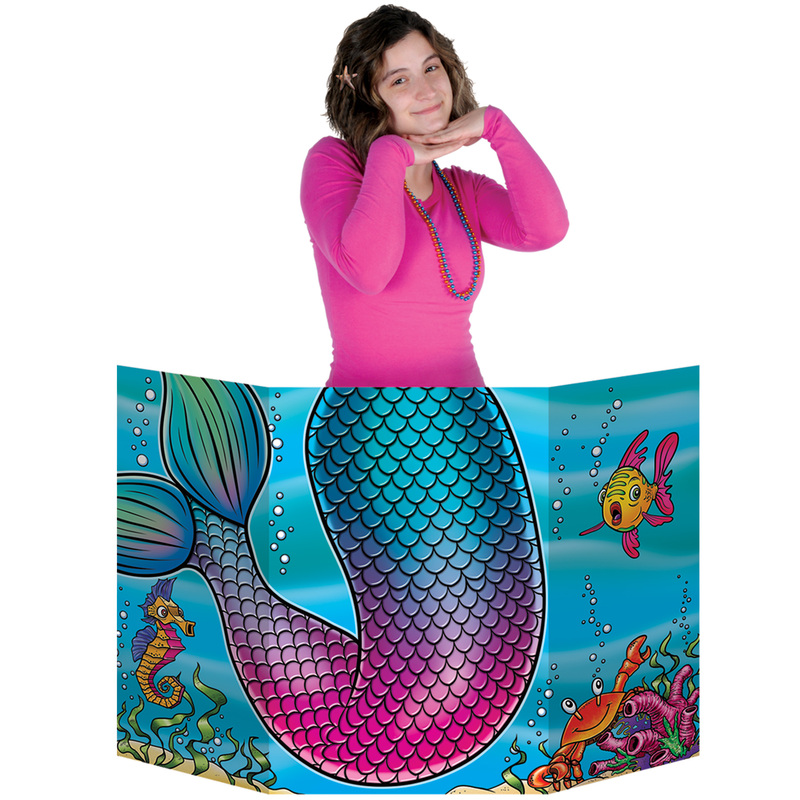 Below, Becca models our 53404 Mermaid Tail Photo Prop which can be used to take photos of guests at your party. With this prop – EVERYONE CAN BE A MERMAID! The front side has beautiful bright colors (which you see in the photo) and the back side is left black/white so that you can color it yourself…if you wish to do so. Below are a few more items from the collection, including Wearables, Photo Fun Signs, Cake Toppers, Streamers, Confetti, Cutouts and more. To view our full range of items, click here. 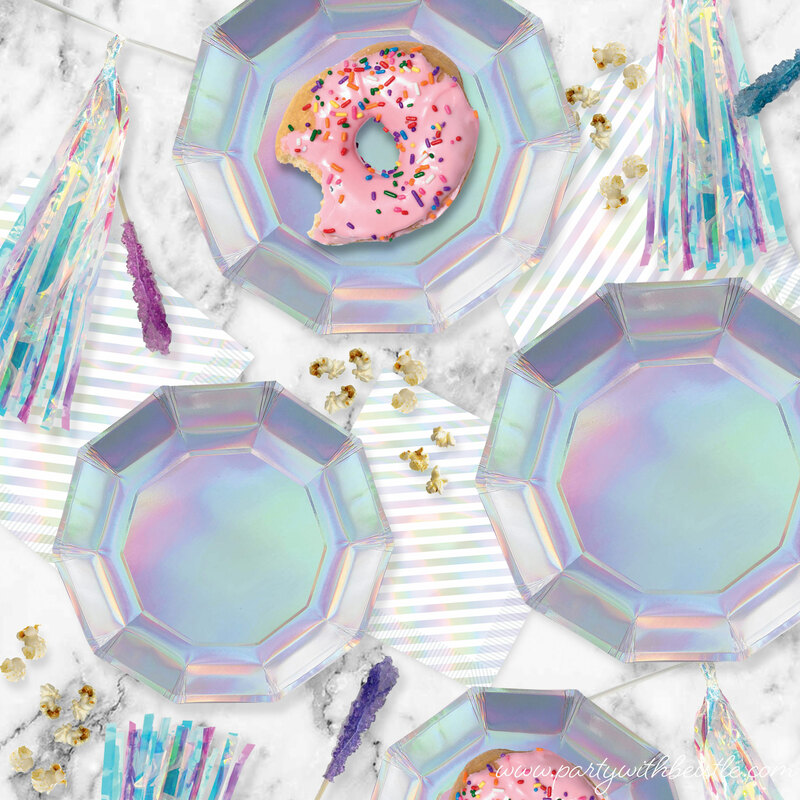 For Tableware, you can’t go wrong with Iridescent. It’s the perfect pairing for a whimsical, dream-like look and adds the perfect accents to your party. To view our entire range of Iridescent items, click here. Additional accent colors that could be used with this theme would be items that are Silver, Cerise, Turquoise and Purple. We have plenty of solid colored items that you could incorporate using these colors. I would personally suggest Tissue Fluff balls, Tulle Balls, Metallic Curtains or Metallic Whirls. 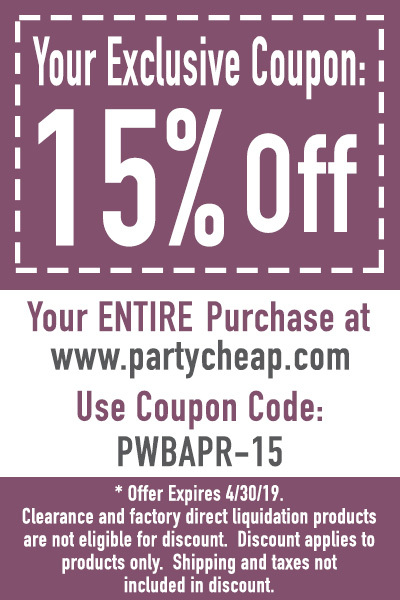 Use your imagination to truly make this theme your own and coordinate with your special event!